Sirens from Homer’s Odyssey: sea goddesses that seduced sailors with their divine voices. Syrène strives to make the sounds of the classical saxophone known to a diverse audience. It is their energy, their musical qualities and their subtle communication, that makes them so beloved with their listeners. The Syrènes have studied at the Conservatories of Amsterdam, The Hague and Utrecht. They were the first wind ensemble to be welcomed at the prestigious Dutch String Quartet Academy. 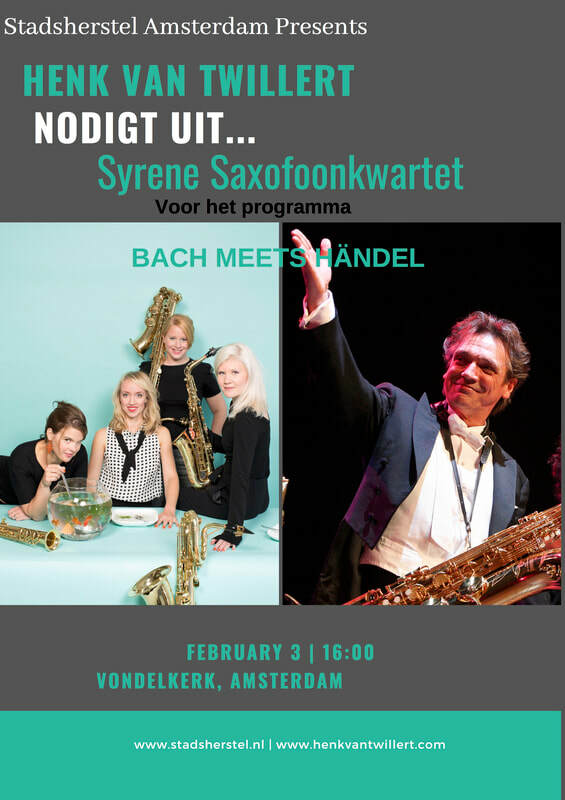 The Syrène Saxophone Quartet is a common guest on all the major Dutch stages and has performed on many international stages. Syrène’s motto is ‘Fresh and sweet, but with a bite’: Talented, spicy but with a delicate female touch. The individual talents are at their finest when combined as the Syrenes Quartet.